It was supposed to be the war to end all wars, one directly responsible for the loss of over 16 million lives (and indirectly responsible for at least 50 million more). Yet today, it’s all but a forgotten footnote. The last surviving veterans of the war passed away in 2011 and 2012, and its footprint stands well in the shadows of World War II, which was far grander in scope and has been studied endlessly and portrayed in all types of media. 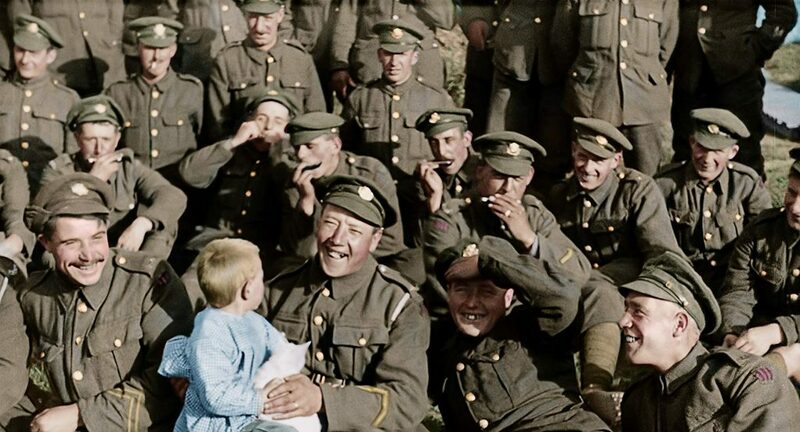 Not wanting the memories of the war to be totally forgotten, back in 2014, the Imperial War Museum commissioned Peter Jackson to amalgamate hundreds of hours of interviews and footage from the war into a single film. 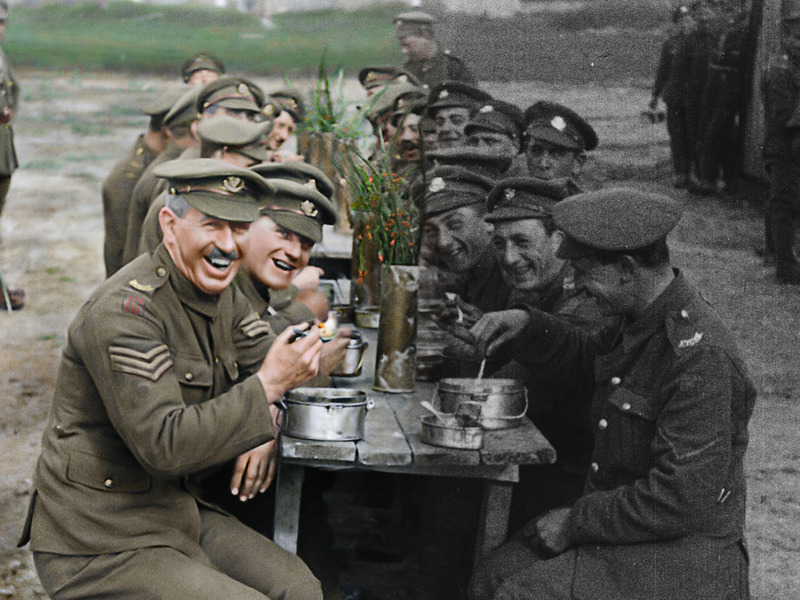 Jackson took the material to Wingnut Films in New Zealand and spent the next four years cleaning up and restoring (as well as colorizing) the film, and the resulting film, They Shall Not Grow Old, is absolutely stunning. Eschewing any focus on an individual soldier or unit, the film is presented as a single arc, beginning with soldiers describing the day they registered and entered boot camp. All of the voices are anonymous until the ending credits; if you ever actually see any of the people interviewed on screen, you’d never know it. As Jackson explains in the foreward, he wanted to maintain a sense of anonymity. You’ll never hear any dates or references to a specific town or battle/campaign, as he wanted to present a more universal look at how people experienced the war. 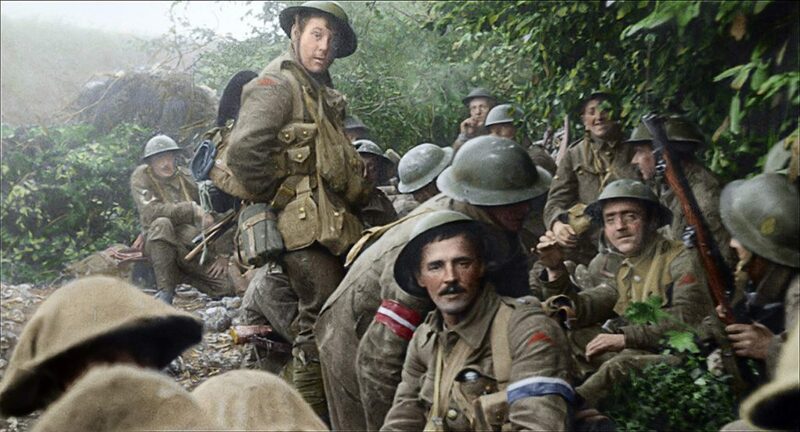 As the film progresses to the war itself, the screen beautifully progresses from grainy black and white footage to full screen and in color, and the effect is remarkable. The footage quality obviously isn’t going to compare well to today’s 4K Ultra-HD films, but it’s probably comparable to a late VHS quality in terms of clarity. The screening my buddy Mike (a fellow history buff who earned his history degree before attending law school) and I attended was in 3D, which seems a little odd when considering the subject, but it was rather well-executed. Rather than feeling gimmicky and forced, it’s a solid effort to place the viewer inside the trenches, dealing with the bullets and trenchfoot and gas. Speaking of trenchfoot, fair warning, it can get pretty graphic at times. There are a few images of people suffering from some pretty severe cases of trenchfoot, while other scenes have outright pictures of dead and mangled bodies. It’s a bit gruesome, but I applaud Jackson’s decision to include such shots so we can see the type of horror that these men went through. What sticks out above all else is the humanity that shines through. We’re not seeing hard-asses like the men of Easy Company in “Band of Brothers” or a heroic leader like Col. Moore in We Were Soldiers. Of the narrators who speak throughout the film, many of them admitted they were under 18 when they enlisted, with some of them being as young as 12. It was rather jarring to think about where I was in life when I was 12 and think about going into a life-or-death situation. 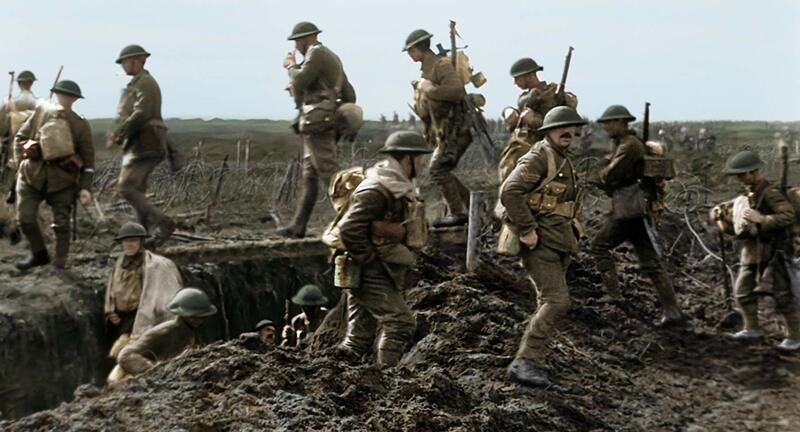 There’s no traditional climax in the film; the bulk of the conflict they describe is told through paintings and drawings of battles in the trenches. The heart of the film is in its portrayal of the time spent off the line, wrestling, playing with dogs, just trying to find a sense of normalcy before going back up to the front line for four days at a time. It’s not a blockbuster, and it won’t set any box office records. But They Shall Not Grow Old is educational and somber. When World War II veterans returned home, they were celebrated and honored (and rightly so). But if they’re the Greatest Generation, then World War I veterans almost seem like the Lost Generation, and it’s truly unfortunate. Unless you’ve spent an inordinate amount of time studying World War I, odds are you’ll emerge from the theater at least a little better educated about the war, and hopefully a bit entertained.